Cement brick making machine is well-known as burning-free brick making machine, and the cement bricks can be used after air-drying for several days. 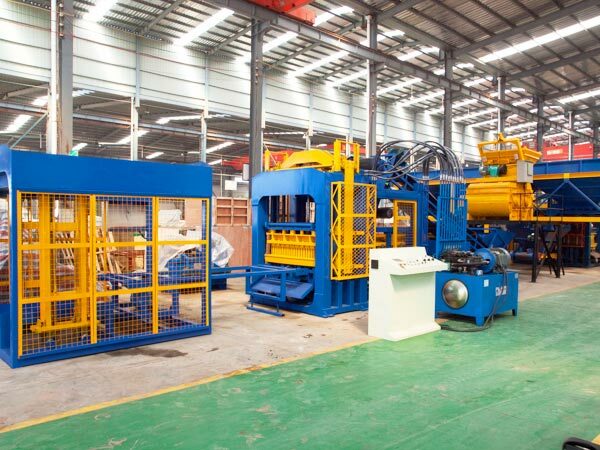 Compared with traditional cement brick plant, the machine manufactures the bricks without burning. The machine has the characteristics of low investment and quick recovery of cost, so that it is popular with the investors. 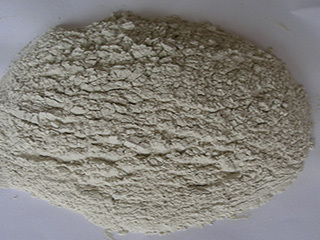 In addition, the construction rubbish and slag are the main raw materials of cement bricks, which saves the soil resource and realizes the reuse of waste. 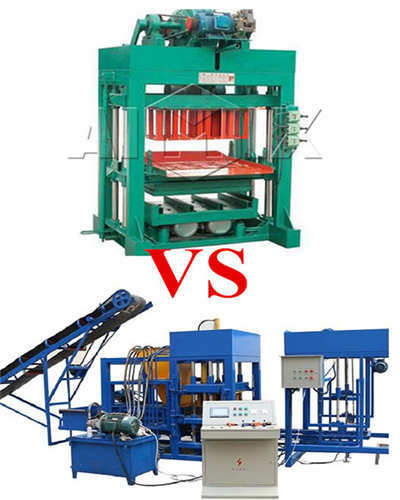 What the most important is that the quality of cement blocks machine is much higher than red bricks. 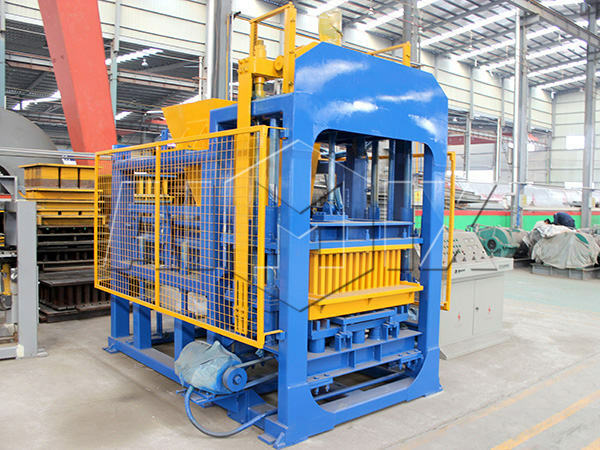 If you are planning to purchase a block brick machine, it is an ideal choice for you. According to the mobility, it can be distributed into mobile and stationary machine. Cement concrete block making machine is a special equipment, which has the function of manufacturing cement bricks, hollow bricks and colorful road bricks. 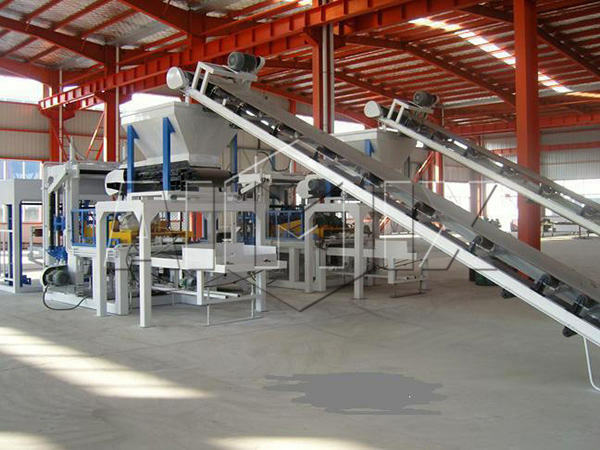 The main raw materials are the pebble, fly ash, and other construction rubbish. 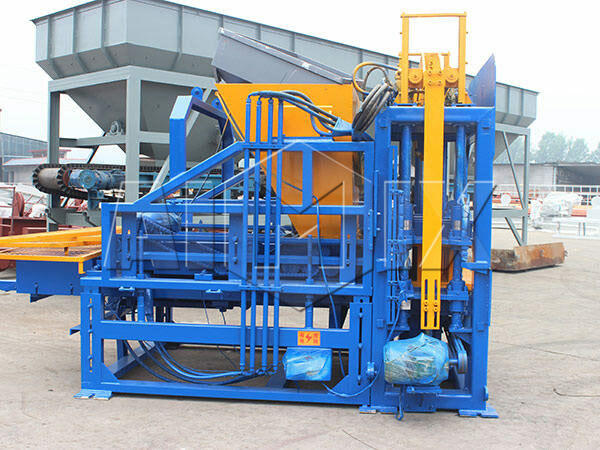 What’s more, the cement block machines change waste material into things of value and manufacturing high quality of cement bricks. As a new type of wall material, the special formula ensures the hard bricks. Clay: the operators had better choose the clay with a certain amount of loose particles, so that it is easy to blend the materials well. If the clay contains a small quantity of sand, the operator has better add some sand into the clay. As for hard clay with the little sand, the operators should triturate the clay before adding sand. 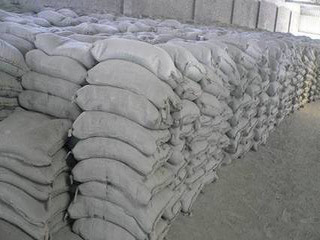 Cement: 10 percent portland cement should be added into the raw materials. So the bricks made by the cement bricks manufacturing machine have high strength and good hydrolysis-resistant property. Additive: in order to improve the strength of bricks, the operators can add some additives into the materials. Meanwhile, the operators can reduce the dosage of cement, which will save the cost of raw materials. Water: the moderate amount of water ensures the high strength of bricks. If the operator adds less water into the mixer, the materials will have more resistance when molding. So that the bottom of the bricks will have low density. If more water is added into the mixer, the bottom of bricks will be too wet. When the bricks are removed from the mold, it is easy to damage the bricks. The whole cement brick making machine adopts high-strength steel materials, and the joints are weld by the carbon dioxide protection welds, which ensures the firmness and long service life. The guidepost are dealt with rough machining, finish machining, cylindrical grinde and chromium plating, so it has the features of high strength, high torsional strength, and high abrasion performance. The key components of the hydraulic and control system adopt the famous brand, and they can avoid pressure relief and leakage. The moulding is made from manganese steels, and the carburizing treatment contributes to long working life. What’s more, the methods of one-step forming and monobrid decrease the rate of breakdown and the cost of replacement. That’s to say, you will save the cost of cement bricks machine in the long run. After receiving a new machine, many users consider how to use it. 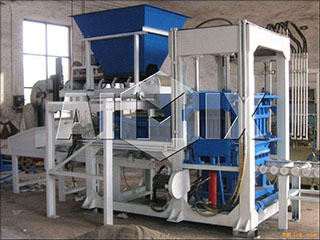 The cement block maker machine is easy to operate and it only needs seven operators during the operation. When it comes into operation, the operator puts the raw materials into the batching machine by wheels loaders, and sets up the formula in the computer. And then the batching will weigh each material automatically according to the preset value. Several minutes later, the prepared materials will be discharged to the hoisting hopper. When the hopper goes to the highest position, the materials will be discharged into the mixer and have a mixing. Then the discharging door opens, and the mixer materials are transferred from the mixer to the storage hopper by the belt transmission. Then they are discharged to the belt transmission and conveyed to the distributor. When the mould is reset, the distributor goes forward and pours the materials into the mold box compulsorily and evenly. Meanwhile, the shock chamber shocks with low frequency, so that the materials will fully permeate into the mould. Then the distributor goes backward, and the indenter goes downward to press the material, and the lower mould shocks with high frequency to increase the density of the bricks. Several seconds later, the lower mould ascends , and the bricks are formed. After finishing moulding, the pallet transfer system conveys the bricks and pallets to the full-automatic stacking machine automatically. Then the operator transfers the bricks to the drying platform by forklift. Before the bricks come into use, the operator should water the bricks every other day. Generally speaking, the bricks will have high strength seven days later. 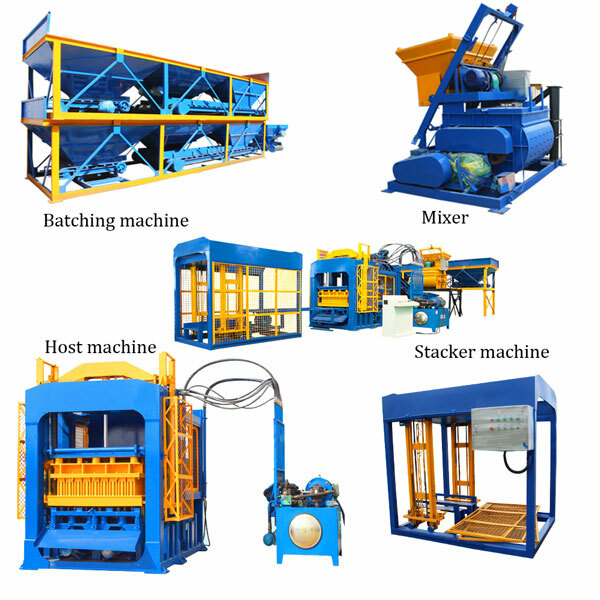 The cement bricks making machine has many types, and the automatic cement block making machine is the most popular one due to the prominent features. Host：The host has reasonable structure, and it has the advantages of high strength and long service life. 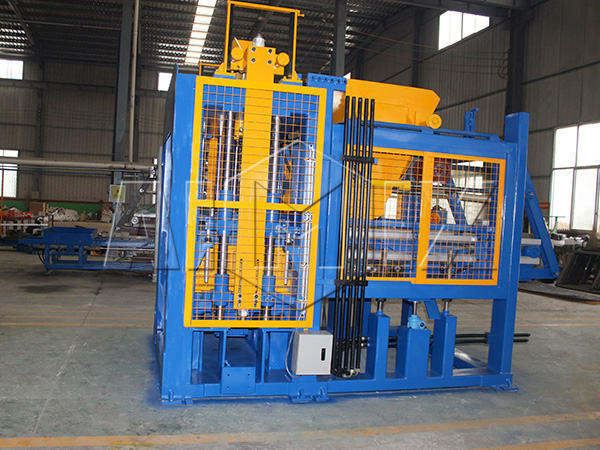 The machine adopts four pillar type structure, and the upper beam and the lower beam forms the closed frame. The compact structure enables high accuracy and reliable operation. Model frame and distributor: The double stripper cylinder in the model frame and the feeding cylinder in the distributor are controlled by the close-loop servo system. What’s more, there is a special device to check the thickness of bricks and to adjust the height of stuffing, and it will correct the error automatically. Hydraulic system: Based on the experience and data collected from the production site, the hydraulic system has a reasonable design. The pump matches the accumulator well, and the hydraulic passage has the energy recovery loop. The components and seal element adopt the famous brand, which prolongs the service life. The interior booster has original structure, and the main cylinder elevates pressure with high speed and good efficiency. High degree of automation: most parts of the machine can work automatically，such as distributing, forming, stacking and so forth, so it is easy to operation. Good quality of productions: The machine can elevate pressure and exhaust gas more than once, which eliminates the air in the powder during elevating pressure. So that the bricks have low shrinkage and high quality without cracks. 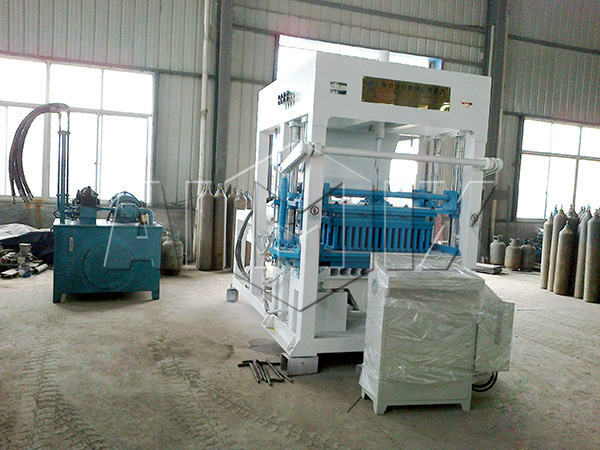 Accurate operation: the linkage of the model frame and feeding cart ensures accurate stuffing. Meanwhile, the special device checks the height of stuffing and corrects the error automatically. The bricks made by full-automatic cement block manufacturing machine have high accuracy in size and high level in production grade. When the clients plan to manage a cement brick factory or start a new project, perhaps they need the excellent cement brick machines. 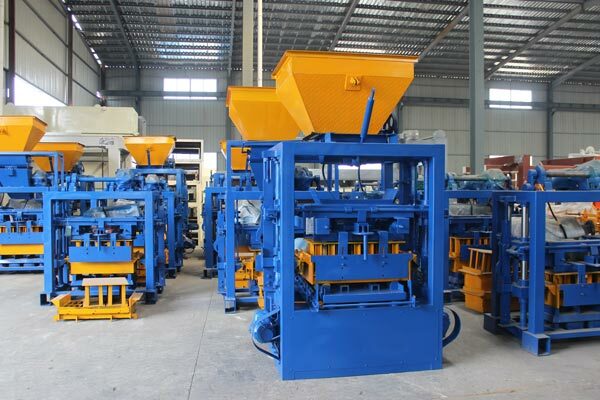 If the cement brick making machines have high efficiency and good quality, the clients benefit from them a lot. Firstly, the machines should have the strong body. When the machine molds bricks, it will generate great power. At the same time, the cement block manufacturing machine will vibrate with the vibration of distributor, mold and head press. 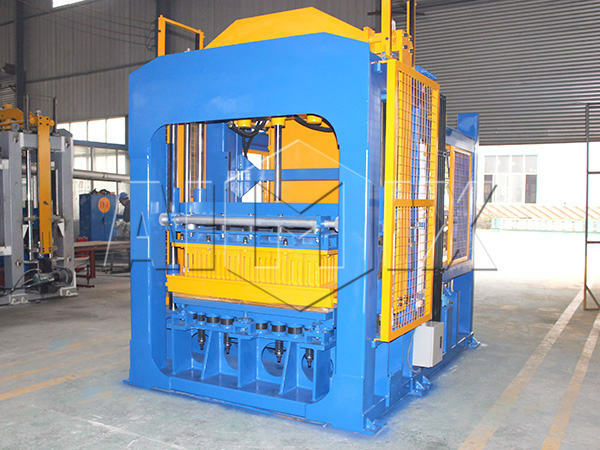 For the clients who are selecting the machine, it is necessary to strike the body of machine. It is useful to check the quality of the body, so we suggest selecting the machine made from the high-strength materials. 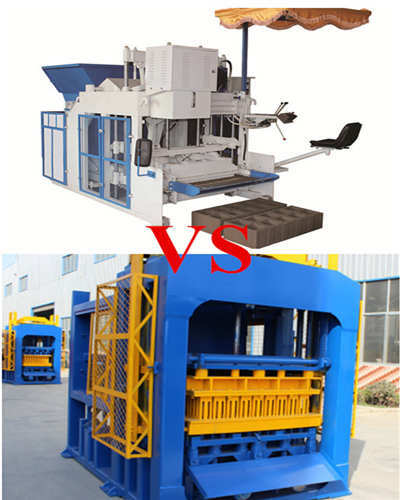 It is advisable to choose the machine to make cement blocks with good-quality mold. 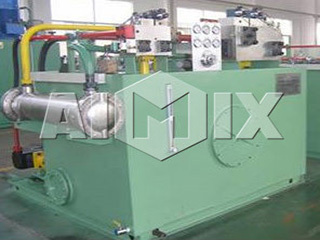 Each time the machine molds bricks, the mold will bear great press force. However, the carbonized materials enable the mold to be durable, which will prolong the working life of the machine. What the most important is that the clients should select professional cement brick machine manufacturers. Generally, the professional manufacturers are the powerful companies, and they often have long history of development and advanced technology. What’s more, the first-class service offered by the company will make the clients feel comfortable. 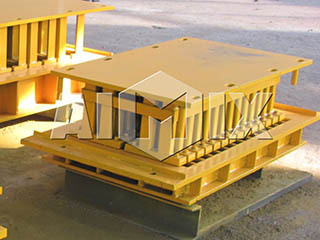 Aimix Group is founded in 1982, which has developed as a leading enterprise in construction machinery industry. In order to provide best productions for the customers, we make strict production system and perfect service system. Up to now, we have exported our machines to many countries, such as Russia, Uzbekistan, Thailand, Pakistan, Malaysia, Philippine, Indonesia, India and so forth. And our productions and service have won good reputation from the customers. If you need any machine about construction, please contact us, and we will provide best production and perfect service for you.